Sonora's popularity means more to her than a new Michael Kors purse. With Fall Fling around the corner, she's on the lookout for the perfect gown in the small Texas town. But a ghost has different plans. When her best friend's body floats ashore Brushy Creek, Sonora is haunted by the corpse-like spirit. The incessant ghost refuses to leave the cheerleader alone. She must risk death and sanity to find her friend's killer. If Sonora isn't careful, she'll be the next victim. 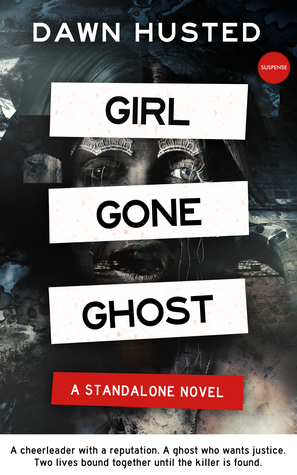 Girl Gone Ghost is a standalone novel. If you like gripping suspense, sizzling chemistry, and dark secrets, then you'll love Dawn Husted's mystery, thriller romance. Hi Dawn. Welcome to Read Your Writes Book Reviews. How are you? I’m doing well! A little anxious about the release of my new book, but I’m also super excited. I understand. Congratulations on the release of Girl Gone Ghost. The book sounds a little chilling. The cover definitely sends goosebumps up my arms. What can you tell me about the book? Girl Gone Ghost is one of the most suspenseful books I’ve written to date. Not only does the plot revolve around a girl trying to find the person who killed her best friend, but the story is also about friendship, love, and life in a small town. GGG is the first story that I’ve written that includes an unreliable narrator, which was a ton of fun to write! Sonora is seventeen, and the story starts at the beginning of her senior year. Not only is she a student at Brenham High (Texas), but she’s also a waitress at B’s Steakhouse, which is located in the town square. Sonora loves wearing skirts, hates rice, and is passionate about cheerleading. Her favorite color is yellow. Reading the blurb has me sensing that Senora is one-dimensional. In order to survive the book, she’s going to have to look at things differently. What was the hardest part for you, in regard to getting her character to grow? Tell me about Magnolia, the ghost and Senora’s best friend. Being that Sonora lives in a small Texas town, she and her best friend grew up together. Magnolia even saved Sonora from falling out of a tree when they were younger. When they became freshmen, they tried out for the cheerleading squad together and made it. But weeks before their senior year begins, Magnolia is murdered. Mags, as Sonora likes to call her, had a beautiful smile, blonde hair, and a magnetic personality. Girl Gone Ghost takes place in Brenham, Texas, which is a real place. Was it challenging to use a real location? I mean your facts have to be spot on. There’s no room for error. I love Brenham, TX! It’s a small town about 30-min from where I live. Although the town is real, and the streets are real in my book, many locations/locals are made up. This gave me more freedom to create the story and add unsuspecting scenes. Time for the dreaded question. What inspired you to write this book? I mean it’s a departure from your normal paranormal. I watched a documentary about a small town (in a different state) that had a serial killer. The serial killer was never found, and the victims were hardly paid attention to because the timeline of their deaths had been spread out over a span of years. This started me thinking to create a story around a similar occurrence, but I wanted Girl Gone Ghost to take place in a town that I had been to before. I wanted the story to feel and seem as real as possible! When you set out to write Girl Gone Ghost did you know how it would play out or was it a surprise? The ending changed a few times, and I wasn’t sure who the killer was going to be. In fact, the killer changed a few times too! But once I wrote the first two drafts and decided on the killer, the plot fell into place beautifully. Does Senora get any help from anyone in attempting to catch a killer, or is she doing her investigating on her own? If she has help, can you tell me a little about the character or characters? Sonora decides that she needs help, but only after Magnolia’s ghost all but forces her to. Sonora turns to the lead detective’s son for help, a person who runs with the druggie squad and doesn’t care about what others think of him. Lachlan is your typical bad boy, except he moved here from Australia at a young age. Therefore he talks with a Texan twang slash Australian accent. To find out how or if he agrees to help Sonora, you’ll have to read the book! Thank you, Dawn, for stopping by and giving us an inside look into Girl Gone Ghost. The doorbell rang. I turned my light off and rushed to let Chris inside. We were having dinner tonight—like it was another normal Saturday night with my family. I glanced into the kitchen. Mom grabbed food from the island in the middle and placed the bowl on the dining table. “Sonora, fill the glasses,” she said. Chris released my hands. “Where have you been? I thought you’d be here fifteen minutes ago?” I asked him. I hated filling glasses with ice, and she knew it. The cold icky cubes sounded like freshly painted fingernails scraping the hood of my Taurus. Mom’s pristine hair swayed on her poised shoulders as she hung her apron on the hook. Chris followed me and grabbed the glasses off the kitchen island and handed them to me one by one, winking at me with his dreamy, dark chocolate eyes. “Make that one half-full,” he whispered to me as he grinned. I stuck my chin out to mimic her, “Mom likes the ‘hot tea to melt the cubes with perfection.’” I laughed and smiled at Chris but filled each cup as requested. I squeezed Chris’s fingers, prompting him to speak. “Sure, Mr. Stewart,” Chris replied, closing his eyes and bowing his head. “Amen,” Dad said, loosening his tie from around his neck. He wasn’t the football type, but that didn’t stop him from cheering for the team. “Sonora, can you grab the sour cream please?” Mom asked. Scooting my chair back, I ambled into the kitchen, past my brother’s empty seat. I missed Bram. Why did he have to move out? I yanked on the door and studied the contents. Containers of yogurt, butter, and assorted Tupperware blocked the view. I reached for the sour cream behind leftovers of questionable age. An eerie dampness floated over my arms. Something smelled old and rotten as if seafood had been left to spoil. I rubbed my nose, shaking the horrid odor off, and shut the door. “Mom, you need to clean the fridge,” I said, entering the dining room. “Sonora, don’t be ridiculous. The fridge is spotless,” she replied, waving my insane notion off as usual. I grimaced. Why did she have to use my name in every sentence? Why? I handed her the container and sat next to Chris, wriggling the moldy smell from my nose. Beneath the table, he casually crossed his ankle over mine. “So Chris, are you starting on Friday?” My father passed him the green beans from the middle of the table. “Yes, sir, Coach wouldn’t have it any other way.” Chris plopped a serving onto his plate, passing the blue bowl to me next. “And Sonora will be cheering from the sidelines.” He winked and nudged my side. I was the cheerleader dating the star football player. “How do you like the new coach?” my dad asked. Chris nodded, focused on the food. Dad wasn’t about to ask deeper questions about football. His professor brain didn’t allow much time for sports, but he knew the town had hired a new coach. Everyone in a small town knows when that sort of thing happens. “Sonora, how’s the dance committee coming along?” Mom asked as I took a bite. My fork froze in midair. “Fine,” I replied, not exactly feeling in the mood to talk about the Fall Fling. I wanted to stop thinking about Magnolia, but it was hard. I guess Mom found it easy to forget my dead, best friend. The horrid smell rushed around me. The same fishy smell as before. Weird. Where was it coming from? I leaned over to Chris and sniffed. “Did you just smell me?” he whispered out the corner of his mouth. I shook my head, playing it off. His cologne was distinct, rosewood and lemon, his hair astutely angled. He was perfect. My boyfriend wasn’t the rancid haddock source. I glanced over at Mom’s flawless makeup and Dad’s impeccably ironed shirt. Nope. Not them either. The smell became overwhelming. How did nobody else notice it? I sucked in a breath. It had to be from outside. Chris shoveled mashed potatoes into his face. Dad dipped into the dinner rolls, unaware. Ugh. I coughed, and an errant bean lodged in my throat. I coughed again, trying to knock the lump lose, but it remained in place. Trying to take a deep breath, the slimy, healthy vegetable obstructed my airway. I tried to cough. Choking! No air in. No air out. I frantically gestured to my throat. My eyes widened. Chris dropped his fork. It clanked against his plate. “Sonora?” Jumping up, he yanked me from my seat and knocked my chair out of the way with his foot. Wrapping his arms around my stomach, he thrust inward and upward violently. My ribs throbbed. My lungs begged for air. Nothing. “God, do something!” My mom yelled, panicked. Wait. Mom never panics. Her voice wavered in and out. “C’mon! Breathe!” Chris clasped his hands around my waist, but I could barely feel them. Stay conscious. Bright neon spots flickered in my vision, and the table clouded out of focus. Was this what Magnolia experienced when she died? My legs wobbled, my stance weakening. Chris thrust his fists into my stomach once more. I hunched over from the force, and the green bean dislodged, skittering across the table. Inhaling an enormous mouthful of oxygen, life breathed back into my limbs. Weak, I slapped my palms against the table in effort to stay upright. The placemat slipped off the edge, and my plate of food plummeted to the floor—over my new Gucci flora flats. “Sonora,” my mom said again, sounding less worried and more annoyed by the mess. Would you please stop? I wanted to scream at her but didn’t. Months ago, I’d had a mental breakdown from stress, and ever since, it was like Mom couldn’t repeat my name enough. I hung my head as the table slowly stopped spinning. It was as if I’d finished a string of back handsprings at a pep rally, and my brain hadn’t caught up with my eyes. Chris’s panicked hand rested on my back. The room became solid once more, but something was different. In the corner, behind my dad—stood a ghostly corpse, one silvery eyeball hung from its socket. The ghost paled in comparison against the dark blue walls. I shook my head and squeezed my eyes shut. I must be seeing things. Oxygen starvation did things to a person. I breathed in steadily and looked once more. The corpse had moved closer. A worm slithered in the hollow place behind the droopy eye. Water ran from its hair and dress, collecting in a silvery pool at its feet. Her drenched white dress sucked to her body, turning the dress a shade of slippery peach. Golden hair hung like sodden pompoms down both sides of a haggard face. My legs buckled and my right elbow slammed against the table as I collapsed to the floor. Four feet away, she peered at me with one glossy eye above swollen cheeks. Her wet face resembled a purple water balloon about to pop. Her eyes and nose a permanent shade of bruise. The tiny shimmer of a friendship necklace, a gold locket in the shape of half-a-heart, dangled around her translucent neck. I plunged backward, away from Chris. Away from everybody. Away from HER! My spine skinned the edge of the wooden chair, and the pain held me upright. This couldn’t be real. She couldn’t be real. Magnolia had been my best friend—nine weeks ago, her body washed ashore on Brushy Creek’s swampy banks. She had been murdered by the Creekside Killer. This wasn’t any corpse. It was Magnolia. I’d known her my entire life. I hadn’t seen her dead before, but I’d recognize that necklace anywhere. In a blur, her ghostly form rushed toward me. 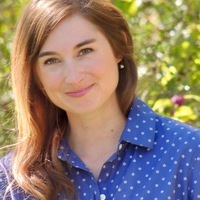 Dawn Husted is the author of Girl Gone Ghost, a YA psychological thriller. Dawn Husted grew up in central Texas, in Aggieland. She discovered her love of writing after graduating from Texas A&M University. She enjoys writing urban fantasy, science fiction, romance, and paranormal suspense.